This is your go to comprehensive guide of all of the different services being offered by orthodontic practices. When people think orthodontists they think of course about braces, and other means of fixing crooked teeth, but the rest of orthodontic services are very much lesser known to the greater public. I hope to provide you with all of the ways that a visit to your orthodontist can help in treatment, and taking better care of your mouth. Yes, braces are the most common orthodontic service. Braces and other fixed appliances are the most common devices used in orthodontic care. In America 75% of the population suffers from malocclusion, a bad bite, where one’s jaw and teeth don’t develop properly. 80% of people who have a malocclusion whether it’s overcrowding, overbite, underbite, crossbite, etc. are being treated with braces. This means 13 out of 20 children in America wear braces, with these statistics it’s no wonder our associations with orthodontists are directed toward braces. What exactly are braces? What do they consist of? Braces consist of a complex system of brackets, wires, and bands. This contraption gently molds your teeth into the intended position, fixing the way you bite together. Different ages and people prefer different types of braces, metal or plastic brackets. Some even prefer lingual braces which attach to the back of the teeth so they’re hidden from public view, but it may be more difficult to provide oral hygenic care; to clean and to floss. Other fixed appliance treatment includes fixed space maintainers and other special fixed appliances. Fixed space maintainers are used in the case where a child loses a baby tooth early and they want to maintain the space so the two teeth on either side won’t move into that space until the adult tooth comes from you. This is done by fixing one band on each tooth opposite of the space and connecting a wire between the two. Other fixed appliance treatments are recommended on occasion to control tongue thrusting or thumb sucking in younger patients, experts say these should only be used when absolutely necessary due to the discomfort provided for the patient. While it’s clear that braces and other fixed appliance treatments are more common in orthodontics, removable appliance services definitely deserve their share of comprehensive attention as well. Removable appliances are typically used for the treatment of minor problems, again such as the sucking of one’s thumb or correcting teeth that are just slightly crooked, or when the problem is not yet fully clear. These appliances should be taken out when cleaning, eating, or flossing, and it’s usually advised to remove them during physical activity as well. Removable appliances include aligners, which is a practical option many adults choose for oral care as an alternative to braces. They still have the same effect adjusting your jaw, and aligning your teeth, but they’re invisible to others and they can be removed to eat, brush, and floss. A typical treatment cycle using aligners lasts between 10-24 months. 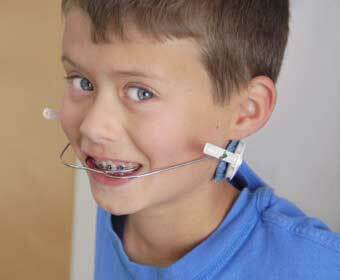 Another familiar removable appliance used in orthodontic services is headgear. Besides being made fun of in the movies, headgear provides several other services. Headgear straps around the back of your head and attaches to a metal wire in the front of your moth. The aim here is to slow down the growth of the upper jaw, and keep the back teeth in position while the front ones are being pulled back. Retainers may be used in oral care for as both fixed or removable appliances. Removable and fixed retainers alike are both placed on the roof of the mouth. Permanent retainers stay in for a fixed amount of time and they’re designed to stop the teeth from moving back to their original positions. 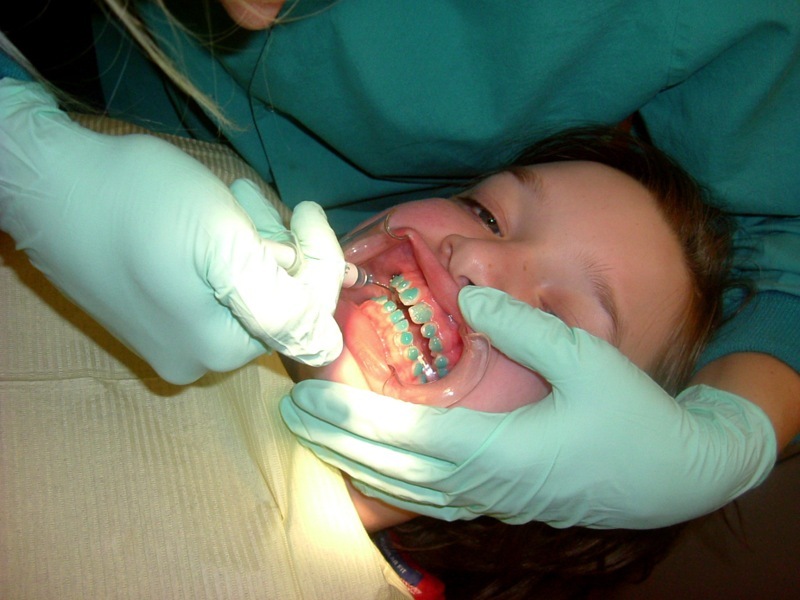 These retainers are usually given post treatment to ensure the success remains. When modified the comprehensible removable retainer can also be used as a tool to encourage children to stop sucking their thumbs. Before giving you the prognosis, and beginning right away with the treatment to appropriately fix your bite, the orthodontist will provide you with all of the necessary tests and assessments to be properly treated. This initial assessment is typically commenced around the time a child is about 12 or 13 years old, this is right around the time when the adult teeth are beginning to come in and it’s clear to provide a comprehensible prognosis. The orthodontist’s assessment will assess the current state of the patient’s teeth and make predictions based upon the predicted development of the teeth with and without treatment. Several diagnostic procedures are likely to occur. These include: a full medical and dental health history to ensure the patient is healthy enough to endure the treatment method; a clinical examination; x-rays of the teeth and jaw, and plaster molds of the teeth. CephX is a great tool for orthodontists to utilize to keep track of all of this preliminary information from the assessment and incorporate all of the progress to compare cephalometric analyses and store all of these images in one place in the cloud. This streamlines the system greatly in the orthodontic practice to enable the orthodontist to spend less time looking for meticulous information, and more time on the actual prognosis and treatment of their patients.